Should you invest in gold? 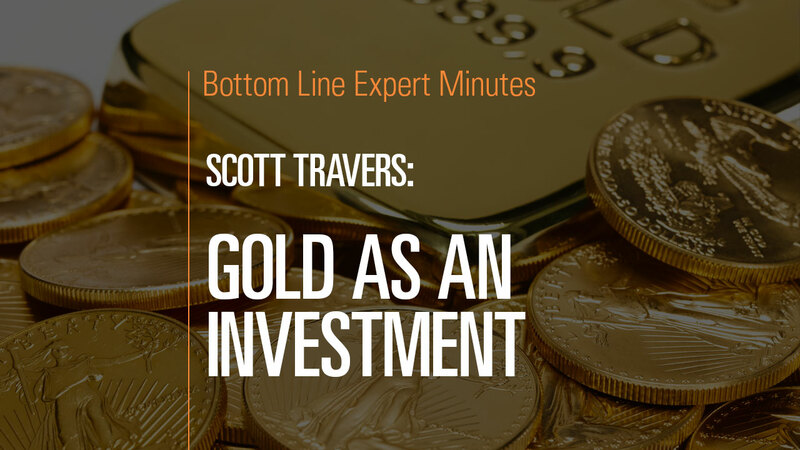 According to Scott Travers, gold and rare coin expert and author of The Insider’s Guide to US Coin Values, gold is not so much an investment as it is an insurance policy against calamity. Mr. Travers urges investors to hold a small portion of their portfolios in gold so that they will be able to use it to barter for essential goods and services in the event of a global calamity. How much gold should you hold? 15% of your total portfolio value excluding your primary residence, according to Mr. Travers.